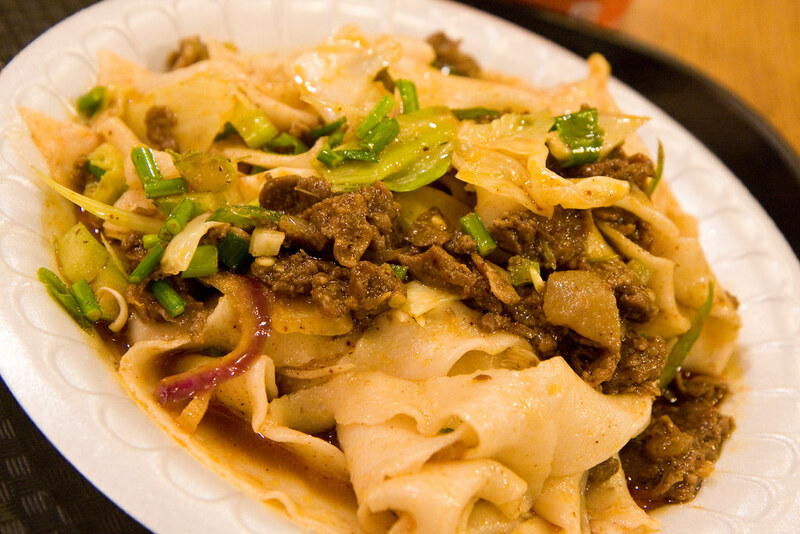 NEW YORK CITY FOODGASM: RIDICULOUS CUMIN LAMB NOODLES AT XI'AN FAMOUS FOODS. All of us in the US have a pretty good understanding of Chinese food, right? There’s Szechuan food, which is characterized by chili oil and spicy, tongue-burning action that is followed by multiple trips to the bathroom. Then there’s Cantonese food, with large dishes of fresh seafood that have just come from a holding tank of questionable cleanliness, but which tastes so amazing in its freshness that you can imagine the fish that you are eating swimming around, right before you dig into the soft flesh of its sides. But how many of us can say that we have tried Xi’an food, or know what it is? New Yorkers are lucky enough to have this, and I envy their easy access to this delicious, unique cuisine. In fact, I make trips to New York just to eat at Xi’an Famous Foods (although I might pretend that I am visiting my friends). What is Xi’an, you may ask? It turns out that Xi’an is one of the Four Great Ancient Capitals of China, and has had much historical significance, especially during the era of the Chinese dynasties. Xi’an is also the starting point of the Silk Road and home to the famous Terracotta warriors. If you are ever lucky enough to visit, make sure to check out the historical and cultural landmarks while you dig into the delicious local cuisine. One of Xi’an Famous Foods’ most popular dishes is the Spicy Cumin Lamb Hand-Ripped Noodles. I alternate between this and the beef version of the dish, both of which are similar, depending on what I feel like having that day. This time I chose the beef, which was amazingly tender and flavorful. 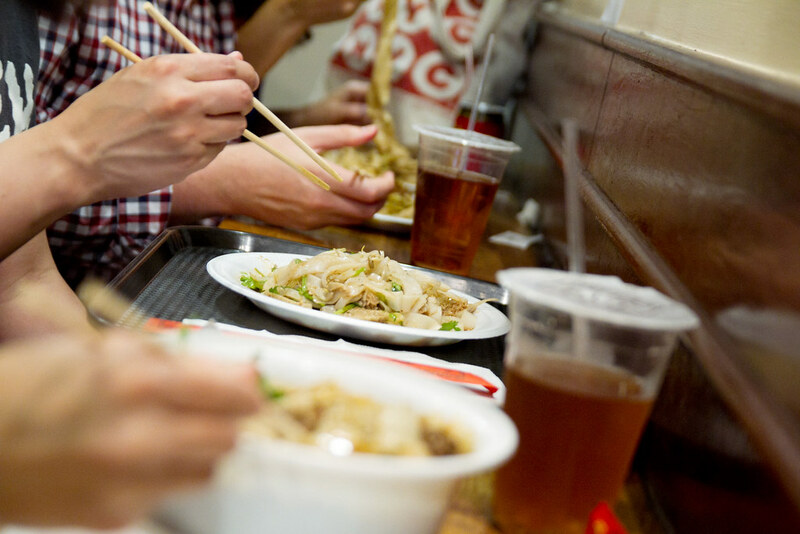 The real star of the dish, though, is the famous Xi’an hand-ripped noodles. These noodles are thick, heavy, and chewy, with a misshapen structure that only lends to their charm and authenticity. My only mistake this time was in trying to use a flimsy plastic fork. The entire dish was made up of only a few very long, perfectly pulled noodles, and so they turned out to be too heavy to lift with the fork. The American kid next to me looked at me, the Chinese girl struggling to eat the noodles with her fork, as he deftly picked up the noodles with his chopsticks and slurped them into his mouth. I briefly debated getting a pair of chopsticks, but couldn’t bear to leave my dish of noodles long enough to make it happen. Spicy cumin lamb hand-ripped noodles. It’s spicy in my stomach. The flavor of the noodles is distinctively Xi’an – that is to say, there are spices that will leave your whole mouth feeling tingly and alive. This is a very satisfying feeling if you are into eating spicy foods, but I usually pair my meal with a lightly sweetened, cold, and refreshing Chrysanthemum tea to balance out the oil, and to soothe my tingling taste buds. If noodles or spicy foods are not your cup of tea, Xi’an also has amazing “burgers”, which consist of salty, flavorful meats (either beef or lamb) sandwiched between crispy on the outside, soft on the inside handmade breads that are reminiscent of English muffins, although vastly superior in my opinion. All in all, Xi’an has tons of other dishes that I am just dying to try, but I always end up ordering the noodles because they are too delicious to pass up. Xi’an Famous Foods is definitely worth visiting to get a taste of a unique, little known Chinese cuisine that will leave you craving for more.